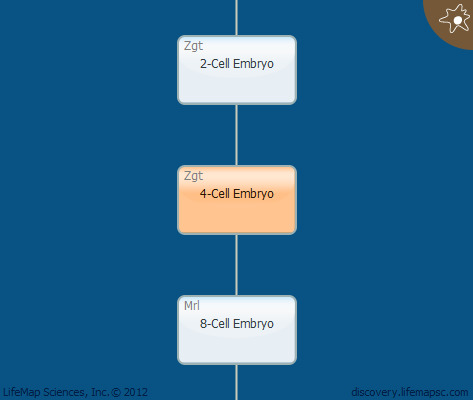 The 4-cell embryo is the result of a second cleavage event, and occurs at approximately 40 hours after fertilization. The individual cells are called blastomeres. At this stage, the process of embryonic genome activation is initiated in human embryos, and lasts until the 8-cell stage. The resulting morula stage marks the first morphological indication of a break in radial symmetry.